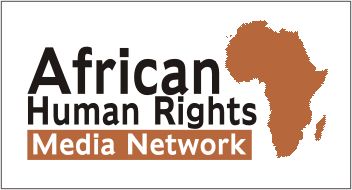 Cameroon university blocks career of LGBTI activist – Rights Africa – Equal Rights, One Voice! Officials at the University of Yaoundé II in Cameroon have blocked the academic career of a mature student known as Kundy (a pseudonym) because of his ongoing work on behalf of LGBTI people. In his thirties, Kundy is one of the most experienced LGBTI activists in Cameroon. He has had an impressive amount of experience protecting and advocating for LGBTI people in the country. He has spearheaded projects and surveys about the situation of LGBTI people in Cameroon and has represented the LGBTI community at regional conferences and at the African Commission for Human and Peoples’ Rights (Commission africaine des droits de l’Homme et des Peuples). He has repeatedly advocated for improved living conditions for vulnerable sexual minorities. He ended up writing about Cameroon’s counter-terrorism law. Academic leaders told him to stop his LGBTI advocacy work, but he did not. The university never responded to his application, although he made inquiries about it several times over a three-year period. When he finally met with his academic adviser to find out what was going on, Kundy was told that the university does not promote homosexuality. ‘‘No action was ever taken on my application. For the third year in a row, I find myself stuck while my academic colleagues have already made progress in their research. Kundy still hopes to find a university — probably in a country where homosexuality is not against the law — where he could finally start working on his PhD dissertation. If you have suggestions for how you could help Kundy achieve this goal, please contact Steeves Winner.